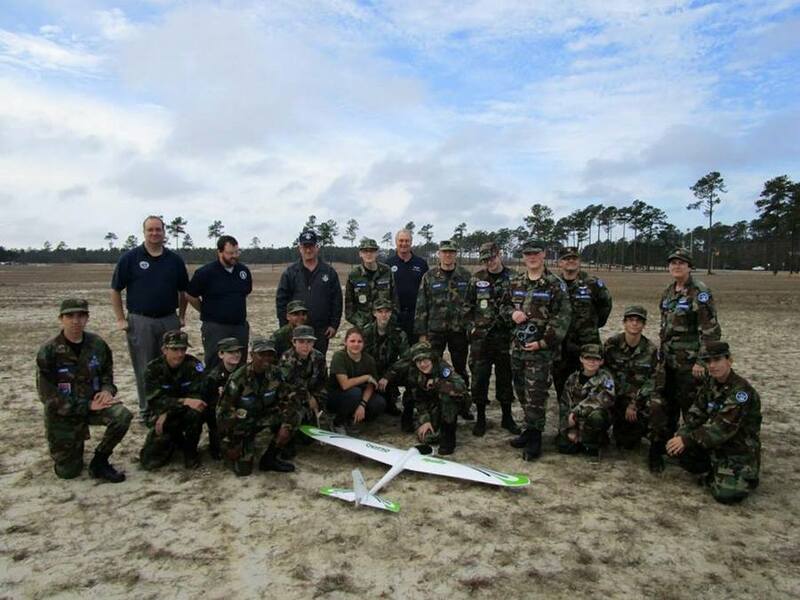 2/2/2017–LELAND, NC–Taking Science, Technology, Engineering and Math (STEM) theory out of the classroom, 25 members of Civil Air Patrol’s (CAP) Brunswick County Composite Squadron launched rockets and radio controlled aircraft at Brunswick Forrest on 21 January. Model Rocketry is a key component in the Cadet’s aerospace education curriculum; much more than just shooting the rockets skyward. "Cadets learn of the US Space program, and basic propulsion," advised Major Jeff Farkas, Aerospace Education Officer for the Brunswick County Composite Squadron. After completing all three phases of the training, each including on-line tests, building the rockets, and field launches, cadets can earn their Rocketry badge. Not to say that the adults didn’t enjoy the day as well. Several senior members waited their turn to launch their own rockets while other family members just enjoyed the view. More than 60 rockets were launched and all but two returned safely. “The wind shifted during the morning and we had to re-align the launch pad a time or two. Same for the low clouds that came in, we had to restrict the motor size to keep the rockets in sight,” stated Maj Farkas. Later, cadets and senior members practiced with radio-controlled aircraft, which have similar aerodynamic characteristics as real aircraft. Besides the cost savings advantage, poor flying technique has smaller consequences. 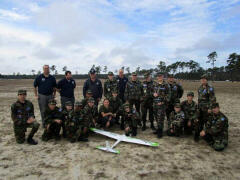 One of the radio-controlled aircraft was damaged during the exercise, however, it was salvageable. The squadron also acquired a 12 foot tall, Saturn V rocket model previously used on a parade float. While not launchable, it captured the attention of passersby and added to the event. The Brunswick County Composite Squadron meets every Tuesday night, 6:30 – 8:30 at the Beach Road Baptist Church on Long Beach Road, Southport; one mile north of the Cape Fear Regional Jetport. For more information, contact Major Kathleen Nicholas, Squadron Commander, at (757) 639-7893.